Heatium - Innovative App which gives you a global view on your home heating system, the “how”, “when” and “where”.
! Heatium requires a Netatmo solution installed at home to work ! 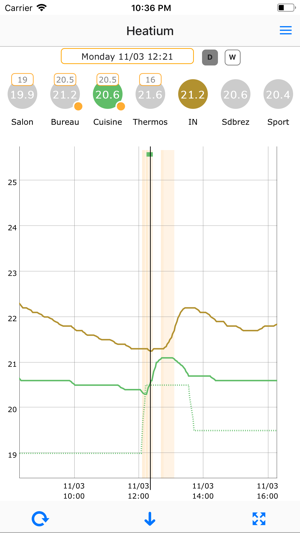 The app allows to have a quick overview of the temperature evolution, to compare rooms heating and temperature history. Heatium displays aggregated and consolidated rooms information. Curves and history analysis will allow you to improve the usability and the economy of your day-to-day heating system. Rooms temperature's comparison is a real benefit and an added value of this app, allowing you to control your heating devices and being the starting point on investigations of defective heating valves detection. - Globally inform on when did the heating system worked, and which rooms were requested heating at that moment. 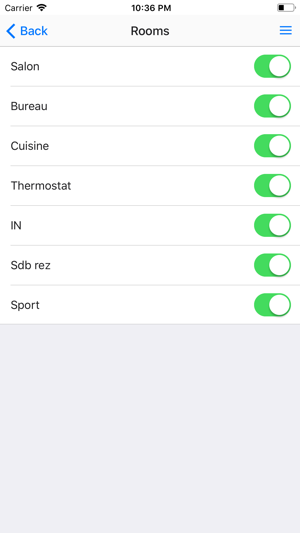 - Quickly see which rooms are heating now, and why they are heating (scheduled or manually triggered request). - Filters in one click the rooms you want to investigate in more details. 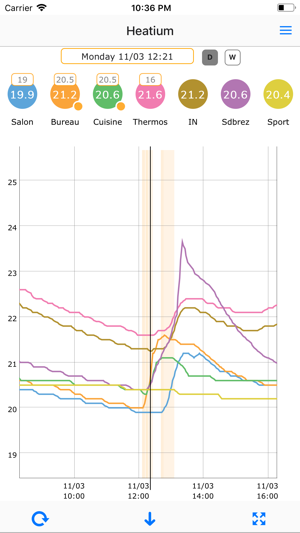 - See the requested temperature graph and in addition the effective temperature of selected rooms. Temperature history is limited to the last 2 days. Heatium requires Netatmo devices and a working account. A small bug fix on the display after a successfull logon.